We’re thrilled to officially welcome Rishi to the Accordion team. 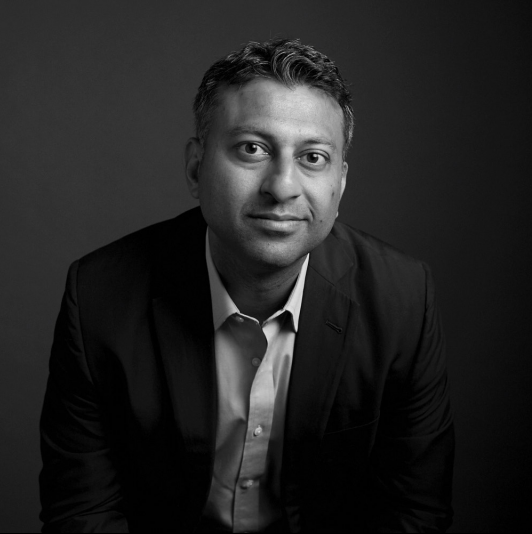 During his recent NYC visit, we sat down with Rishi to discuss his plans for the new SF office — including his recruitment strategy, vision for culture, and no-tie policy. How did you first hear about accordion? I was at my previous firm, Alvarez & Marsal, helping lead their San Francisco office for more than 10 years. I wasn’t looking for a new role, but several of my private equity contacts were buzzing about Accordion and encouraged me to meet the team. As soon as I did, it became clear that there was a real opportunity here. Not only did I see value in the services Accordion provides, but I saw a specific need for Accordion in the Bay Area – a market that is shifting from venture capital to private equity and requires growing operational support. what were your initial impressions after meeting the Accordion team? It’s a very compelling story that Accordion has – the growth, the culture, the unmet opportunity. There was an energy I could sense in each of my encounters, but what struck me most was how nimble the team was. Within 24 hours of meeting Nick [Leopard, CEO] he introduced me to five of his colleagues, and before I knew it, I was having drinks with half of the Accordion leadership team. At most firms this process would take months, but it’s symbolic of how Accordion acts quickly and with intention. How does Accordion compare to other firms? At a lot of consulting firms and financial institutions, culture is what’s written on a piece of paper. But here, culture is how people act and behave. There’s true camaraderie – a spirit fueled by friendships and a genuine sense of encouraging one another to grow. I’m a big believer in stretching people outside of their comfort zones – in challenging them to do something new every day. That’s why I was drawn to the Accordion approach. Here, people who have never led teams are encouraged to lead. Everyone is respected for their different interests and motivators, and learning is valued above all else. I just talked about the importance of stretching beyond one’s comfort zone…and this is certainly an exciting new challenge for me. Starting a regional office for a high-growth company is not something I’ve done before, but this opportunity was so unique – it seemed like the most logical and best decision I could make. I’m eager to open our doors in San Francisco and build a team that complements the team in New York. And, I’m hopeful that this will become the blueprint for future Accordion expansion – both nationally and globally. Now that you’ve officially joined Accordion, what’s first on your agenda? The first thing is setting up a solid foundation in San Francisco, which is threefold: (1) closing on office space, (2) recruiting the right talent, and (3) getting the word out about Accordion to make sure that the market understands what we do. In the short-term, this means filling my days with breakfast meetings, lunch meetings, and dinner meetings. I’m already gaining the freshman 15 – but it’s exciting. People out here see tremendous value in our service offerings. We already have a growing roster of West Cost-based funds, so now my focus is on recruiting – the first few hires will be critical to establishing our San Francisco footprint. Speaking of recruiting, can you describe the ideal Accordion candidate? Accordion is unique in that most everyone here has operating experience – and then private equity, accounting, or investment banking experience on top of that. So, from a recruiting standpoint, we’re not just looking for an accountant or an investment banker; we’re looking for someone who has served in an operational role and understands the importance of streamlining operations for portfolio companies. In terms of personality, we need candidates with an enthusiastic, entrepreneurial spirit and the ability to have fun. Fun is key here. There’s a “magic” that exists in the Accordion NYC office, and it’s important that we leverage that magic in SF – while putting our own California spin on it, of course. How will you ensure Accordion’s culture is reflected on the West Coast? One of the things I love most about Accordion is that people form real friendships here. As we build out the SF team, I want to ensure that we build off that spirit – that we hire people who want to grab beers with one another. And, speaking of beer, I plan to have a keg in the office on Fridays. But one thing we won’t take from Accordion’s New York office is the attire. This is San Francisco; it’s a tie-free zone! Describe your vision for the San Francisco office one year from now. We’ll have an office that can house 10-15 people and deals being sourced out of the West. Our team will be continuing to do great work – and we will have established ourselves as a thought leader in the San Francisco private equity market. I’m the father of twin 7-year-old, sports-obsessed boys, so you can find me chasing them or cheering them on in one of their games.